When your AC recirculates air throughout your home, the air often holds allergens and debris such as dust, pollution and pollen. When air filters have been in use for too long, they can become blocked with debris, slowing down the flow of air to the rooms in our homes. To continue having clean, colder, more comfortable air in South Florida, Palm Air recommends that you change your air filters monthly. Your air filter is your first line of defense against these contaminants since it prevents viruses and bacteria from blowing into your home by keeping your air fresh and clean to breathe. Our systems then will work harder to keep maintaining ideal temperatures, and eventually will have serious issues we don’t want to pay for. 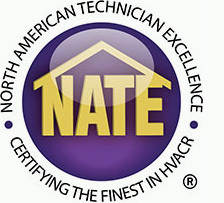 "Doing so can reap in several benefits, such as: Reduced energy bills Improved indoor air quality Fewer AC repairs Lengthened AC lifespan Cleaner and colder home comfort"
Your filter may seem like a small part of your HVAC system, but it has a big job that requires routine attention and maintenance. And although you don’t see it all the time, its problems are not invisible. It may not seem like much, but changing your air filter once a month can go a long way in providing you with several key benefits you may not even know existed, especially here in humid Boca Raton, Fla.
That’s why the Palm Air Filter Club is there for you, so you don’t have to worry if you keep forgetting about the little things that have big impacts on your AC system. What Does My Air Filter Do? When your AC recirculates air throughout your home, the air often holds allergens and debris such as dust, pollution and pollen. These allergens can affect your indoor air quality, and ultimately make you and your family sick. Your air filter is your first line of defense against these contaminants since it prevents viruses and bacteria from blowing into your home by keeping your air fresh and clean to breathe. But when the filter gets too dirty, a variety of problems and hazards can creep up on you. Have you ever overworked yourself to the point of exhaustion or sickness? That’s exactly what can happen to your air conditioner if the air filter isn’t regularly replaced. When air filters have been in use for too long, they can become blocked with debris, slowing down the flow of air to the rooms in our homes. Our systems then will work harder to keep maintaining ideal temperatures, and eventually will have serious issues we don’t want to pay for. Join the Palm Air Filter Club Today! Help your AC continue doing its job efficiently by taking an easy step: signing up for the Palm Air Filter Club! 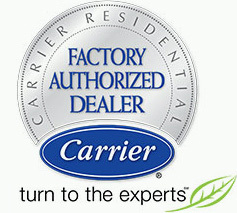 We make it simple and quick so that you don’t have to worry about forgetting this important piece of your HVAC system. Never go without a fresh, new air filter again. We deliver high-quality filters designed to fit your air conditioner’s needs every month of the year. Call us today at 561 922-3199 for more information or click below to order your filters today. We serve Boynton Beach, Wellington, Weston, and more south Florida cities in Broward and Palm Beach counties, and we are here to help you and your home comfort!